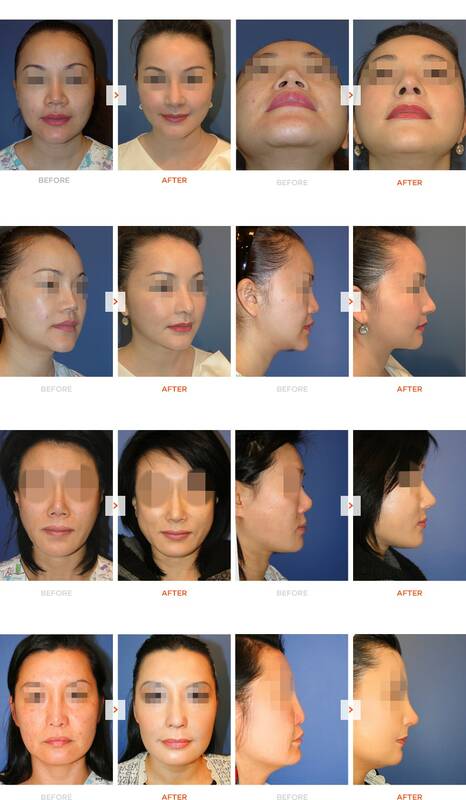 Mid-face augmentation is VIP’s premium surgery created by Dr.Lee Myung Ju at VIP Plastic Surgery Center. 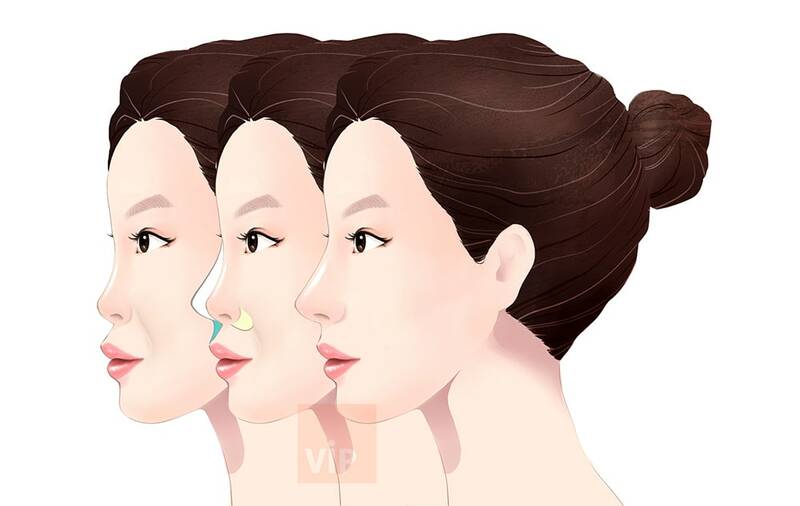 This unique surgery improves the sunken mid-face, protruded mouth, and deep laugh lines by elevating the basement of the nose structure. Small pieces of rib cartilage or silicone implants are inserted into the nostrils and/or philtrum, creating an aesthetic profile line of the columella. This surgery gives a “two-jaw surgery” similar effect but performed in a much simpler way. It is recommended for people who want to achieve more elegant and sophistcated profile line from nose line to lips. This Mid-face Augmentation is commonly performed along with the rhinoplasty; the combination is called Harmony Rhinoplasty at VIP. I have realized many Asians and African Americans have sunken mid-face and protruded mouth compared to their nose basement creating an unbalanced profile view after the general rhinoplasty. Due to the unbalanced profile view, many of patients consider two-jaw surgery or protruded mouth surgery, which are the major surgeries to undergo. However, many VIP patients are satisfied with mid-face augmentation since it gives a “two-jaw surgery” similar result and is simple and safe to undergo the surgery. The surgery is about an hour and is under local anesthesia. When mid-face augmentation is performed along with the rhinoplasty, it creates a synergistic effect giving a harmonized profile view line. This surgery is recommended for whoever wants to look more sophisticated and to achieve more elegant profile view. There are two different materials used for the mid-face augmentation: silicone implant and rib cartilage. The mid-face augmentation is usually combined with the rhinoplasty but it can be solely performed without rhinoplasty as well. When undergoing septal cartilage rhinoplasty, Ear cartilage rhinoplasty, or mid-face augmentation (silicone), two pieces of silicone implants are used. These two small implants are inserted into the nostrils and/or under the philtrum to elevate the level of base structure of the nose. When undergoing a rib cartilage rhinoplasty, the VIP doctor creates and designs two small rib cartilage implants as materials for the mid-face augmentation. These two rib cartilage implants are inserted into the nostrils and/or under the philtrum as previously explained. Patients with a deviated septum suffer from many issues in their daily life. Not only they distress from an asymmetry shape of the nose but also suffer from functional problems. It causes systemic symptoms such as stuffy nose, the decline in concentration, a deficit of attention, and failure of the memory. Sinusitis also can occur; it can be the reason for eustachitis and otitis media when catching a cold.